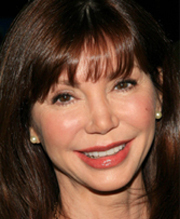 Former Dallas star Victoria Principal leveled her own charges in return for the claims that she had pulled a gun on her maid, reports E! News. Housekeeper Maribel Banegas said thatactress, who played Pam Ewing in Dallas, of brandishing the weapon and threatening to kill her after she took too long walking her dog. Principal has now filed her own lawsuit against the manly Banegas, alleging that she feared for her safety after Banegas engaged in “outrageous, threatening, violent conduct” when she was fired just two days into the job. The papers filed accuse Banegas of abusing Principal’s dog, suggesting that the animal was “visibly choking and shaking” following one walk and say that Bangeas caused the pet “significant injuries”. Principal says she grabbed the gun for her own protection, describing Banegas as a 6ft, 160lb “formidable figure”. She also accuses her of attempting to extort money following her dismissal and refusing to leave the premises. Principalis suing for assault, trespass, civil extortion, animal cruelty and negligence. Hey we gotta say, we’d get a bit on the dicey side too if someone was threatening our pooch.